The Christopher Columbus, one of many whalebacks built by Alexander McDougall, enters Howard’s Pocket, Superior, Wisconsin, 1893. The Columbus was built for the express use of ferrying passengers from the Chicago River docks to the fairgrounds during the World’s Columbian Exposition in 1893. In this issue, Matthew Daley details the story of the whaleback’s rise and fall, and the man who built them. Alexander McDougall’s whalebacks represented a new direction in Great Lakes bulk freighters. Constructed to carry awkward bulk cargoes like iron ore, coal, and grain, whalebacks had their greatest success from 1888 to 1894. The rounded deck, flat bottom and sides, and spoon-shaped bow earned them the nicknames of “hogs” or “pigboats.” McDougall and his financial backers, including John D. Rockefeller, envisioned constructing not only vessels to haul iron ore, but to create whole cities around their visions, particularly West Superior, Wisconsin, and Everett, Washington. Ultimately the whalebacks fell victim to design limitations, the unstable structure of the company and financial backers, the Panic of 1893, and the rapid change in Great Lakes shipping during the 1890s. 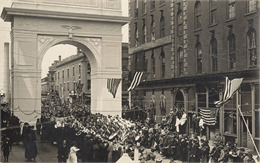 When Armistice was announced on November 11, 1918, soldiers and their families hoped they would be reunited quickly. But for soldiers still on the front, the road home was a long haul. 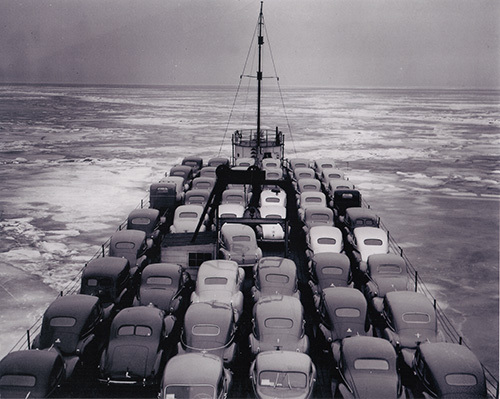 Some did not see their native soil until nearly a year later. Cordasco chronicles the stories of Wisconsin soldiers leaving Europe and returning home to parades, weddings, and other celebrations—a hopeful glimpse of life after the Great War. Thomas Jefferson’s treatment of his illegitimate children and his hopes for their eventual success is a unique and often overlooked aspect of the Founding Father’s legacy, yet his views on race ran antithetical to his actions. A case in point is Eston Hemings Jefferson, the youngest son of Jefferson and Sally Hemings, who was born into slavery in Virginia in 1808. 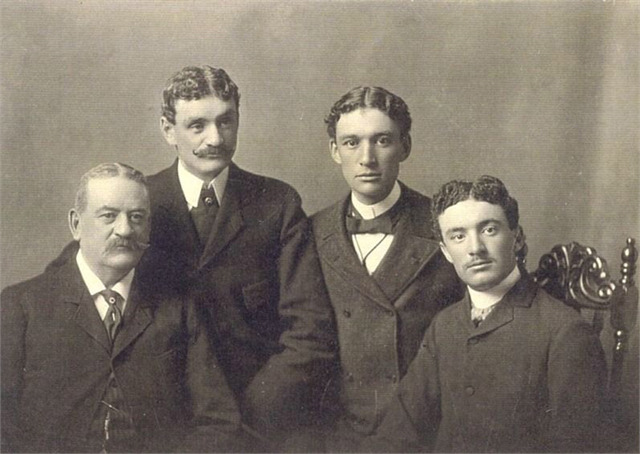 Both Eston and his brother Madison were freed after their father’s death in Jefferson’s will, and they moved to the free territory of Ohio in their twenties. Eston relocated to Madison, Wisconsin, in 1852, and registered as a white man, although he had previously been designated as a black man. He also took his father’s last name, but hid his own lineage, and his children married into white families. This is the story of Eston and his son, John Wayles Hemings, who became an celebrated officer in the Civil War and a successful businessman in Madison. While today the mandolin is known mostly as a folk or bluegrass instrument, in the late 1800s, dapper Victorian dandies in suits with high collars toured the countryside with their mandolins, in open sleighs and decorated trains, playing classical music as well as the popular songs of the day. From 1880 until the outbreak of World War I, the nation was in the midst of a musical phenomenon that can rightly be called the golden age of the mandolin, as the instrument rose to an unprecedented level of popularity. While orchestras and soloists, teachers and publishers worked to pluck out a living in a “musical culture somewhere between the elite and the popular,” as music histo¬rian Jeffrey J. Noonan writes, college campuses around the country, especially in the Northeast and Midwest, abounded with mandolin clubs that played concerts and toured not to make a living, but to socialize with classmates and enjoy the attention of rapt audiences. 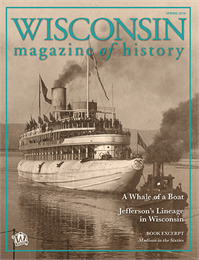 A subscription to the Wisconsin Magazine of History is a benefit of membership to the Wisconsin Historical Society. The current issue, described above, will become available in the online archives as soon the next issue is published. 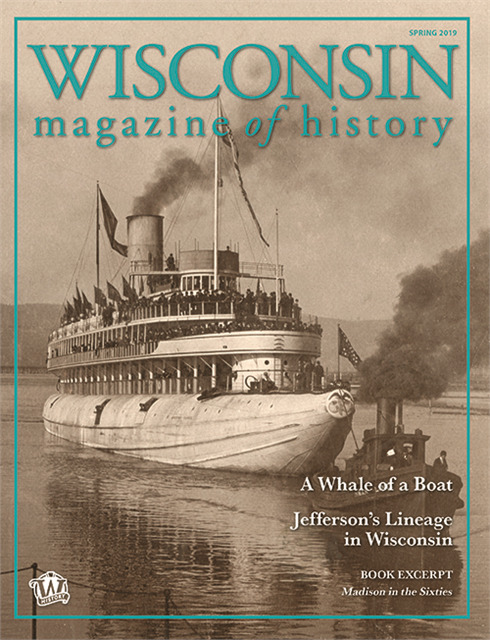 Want a Subscription to the Wisconsin Magazine of History? Then become a Wisconsin Historical Society member!